Please see the catamaran questions and answers from clients below. Contact Us for more information and to buy your own catamaran. Q. I'm confused about how these deferred title transfers work on French tax shelter yachts? I understand that the French tax partnerships want to make a deal today at a good price, and will charter the yacht for four months but what happens if the yacht is damaged during that time? Who covers insurance and when does the buyer take that over? When does title transfer actually happen? A. This "deferred title transfer" is a common situation with French "tax shelter boats". They cannot legally be sold until the 66 month anniversary of their commissioning. The timing of the sale is more important than selling price in many cases, so this can create buying opportunities and save you money. "Buyer has the right to re-inspection after the last charter. If damage is found and is valued at over 5% of the selling price then Buyer has the right to cancel the deal OR re-negotiate price. If damage is found that is less than 5% then Seller must repair the damage at their expense to the satisfaction of the surveyor." Then title transfer takes place after the re-inspection. All liabilities are for Sellers account prior to title transfer. Buyer assumes insurance , dockage, etc type liabilities after title transfer. Q. As I inquire about basics on various boats, I find that the listing brokers don’t know the facts. They speak in generalities at best. I can see the potential issue... that is these boats are located all over the world and how can a broker financially expect to inspect the boat given the time and vast distances involved. I would think that a broker would spend a good deal of time with the owner on the phone, gathering information to adequately represent the boat/buyer. Perhaps I live in a fairy world thinking like that. How do you deal with this problem? A. Yes, this is a problem that has been around a long time in the yacht business. The listing agents cannot always be the ones to blame for the reasons you give because Sellers do not always give a "balanced presentation"" of the yacht. They sometimes "fluff it up" so we can have unpleasant "surprises" when viewing some of these listings. Also, everyone's definition of "well-maintained" is always different. So, the solution I always advocate is that once we think we have found a good candidate I recommend hiring an independent certified marine surveyor to perform a "PreInspection Report" or "mini survey". They spend 1-2 hours, take 80-100 photos and will either write a 1-2 page summary of findings OR they will brief you on the phone. Then we know what we actually have. These surveys usually cost between $250-300 or 250-350 Euros depending on location and some surveyors do not like doing these so we can't always get it done promptly. This has always worked except in areas where a surveyor is not nearby and then his travel costs make it prohibitive. If this happens we can sometimes have a local person take more photos and try to glean something from that. Q. There is a lot of confusion out there about sales and use taxes. You said there is a little known way to gain exemption from from Florida sales and use tax even if I'm a Florida resident. Please tell me! A.Yes, it's all so convoluted (by design!). You must purchase a yacht outside of Florida... you can be a Florida resident. You must keep the yacht in another U.S. Taxing jurisdiction for over 180 days (many buyers take them to the US Virgin Islands if they buy in the Caribbean). There are several "low tax"/"no tax" us states/territories you can take it to. You must not register the yacht in Florida. I recommend Delaware because it is tax free, hassle free, cheap and easy. 150,000 yachts are registered there. When you come to Florida with the yacht you must report in to an auto tag agency (where we register cars and boats) before 90 days has elapsed. You must have receipts to prove you kept the yacht for 6 months in that other us taxing jurisdiction (Bahamas does not count!). If you owed tax there you must bring the receipt. A dock receipt is the best way to prove you were there. US Virgin Islands are "tax free". Many yachts go to Rhode island or Delaware which are also tax free. Some states (like Connecticut allow you to store the yacht on the hard "tax free" and this qualifies). Once you produce all this state of Florida will want a "state registration fee" based on the length of the yacht (40' costs around $85). Once you pay the fee you gain tax exemption forever and they give you a credit card type registration card to carry with the ship's papers. State of Florida dept of revenue does not advertise this method of exemption or even tell you about it unless you ask very specific questions. Ask me about other ways to gain exemption. Q. What should I remember to do "Day of Survey"? 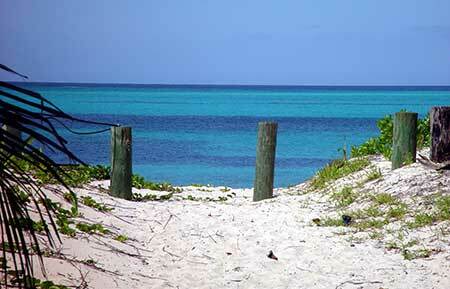 be sure to advise the surveyor beforehand, if possible, how you intend to use the catamaran (weekend cruising? coastal cruising? circumnavigation? ocean-crossing? live-aboard? charter?) and he will tailor-make a list of recommendations to help prep the yacht for that intended usage. make sure the yard has an appointment to haul the boat (in writing) and the surveyor has confirmed an arrival time. the bottom may need a pressure wash when it is hauled out so the surveyor can inspect it up close... this is usually for Buyers account. advise the surveyor (early that day) that before he leaves for the day that you would like to have a briefing of a "summary of findings"... then bring a legal pad and pen and take good notes. This is the "meat of the survey" and it is better to get it on the day of survey instead of waiting days for the written survey to be sent. Many of these surveyors are very slow typists and they tell you "It'll be ready ___" and it is delayed. So, be sure to ask him at the end of they when you can expect it. I would also ask the surveyor to show you any major defects he finds "as he finds them" and you should take pics with your phone so we can analyze them. ask the Listing agent if he will be there. He should be there to keep things moving along and to get things done with the yard. take good notes when the Seller explains any idiosyncrasies... many yachts have systems that were installed after initial commissioning and they sometimes entail a complex procedure to operate them that you may not remember later... so use the Seller's knowledge to get all this straight. ask the Seller "Have there ever been any major groundings?". "Have there ever been any lightning strikes? ", "Has there ever been any water intrusion or leaks?" and find out as much as you can about these. These tips will help you get the most out of the survey. Q. I'm new to boating and my thing is that I get hung up on having all the newest tech and aids. As someone new to boating, I'll need all the help I can get while I learn. A. I have 55 years of experience and got most of that experience before meaningful electronics actually worked. So, I tend to do things the old fashioned way and not rely on electronics. I cannot live without a GPS Plotter nowadays but a lot of the other stuff is more of a bother to me than a help. Also remember that if you get hit by lightning, it knocks all the electronics out and you must go back to the old fashioned method of deduced reckoning. I've been hit by lightning three times and I had to pull out the paper charts and figure out how to get home because I was out in the middle of the Gulf of Mexico each time I was hit. Some of the new electronics are even annoying because they sometimes mysteriously get into another mode/don't work and you have your hands full and don't have time to figure out why it won't work so they become temporarily useless when you need them the most! They also have a useful "life" of 5 years or less so I wouldn't get too excited about this new technology yet... I have had a couple of GPS Plotters fail just after the one year warranty expired and the manufacturer (Raymarine) would not honor the warranty... Can you believe that!? I say just master the basics of "tried and true" navigation and boat handling and you will be less frustrated than what you will find with these newfangled gadgets that are not as reliable as the methods that worked for hundreds of years. Q. Why are catamarans less-expensive outside of the U.S.? A. WHY CATAMARANS ARE SIGNIFICANTLY LESS-EXPENSIVE OFFSHORE THAN IN THE U.S. In my 30 years of buying and selling yachts I've noticed that prices for yachts are usually significantly lower outside of the U.S. When we have a "smoking hot" listing which nowadays would be a late-model Owner Version Catamaran in the 38'-50' range, we could see 20+ prospective buyers/month inspecting it IF it is located in South Florida (also known as "The Supermarket for Yachts"). If the same yacht were lying in an "out-of-the-way" place like Belize, some small Caribbean islands or the Seychelles we would be lucky if we show that same boat once in three months! This supply-demand imbalance creates opportunities for buyers in some offshore islands and on a $250,000 yacht they could easily save $15,000-40,000 by buying offshore. I can arrange delivery to the US for $2-3 per mile. So, it can pay excellent dividends to buy offshore and when you resell it you may want to take it to a high-demand area like Florida. Why does this happen and why don't smart sellers take their yachts to a high-demand area to sell it? Most catamarans, for example, are used in the Caribbean so there are naturally more of them there than anywhere else in the world. Generally, 90% of them go into charter at some point in their "lives" and many of these are owned by French tax-shelter partnerships, travel agencies or charter companies. These companies are very aware of the high "carrying costs" (dockage/insurance/maintenance/debt service) of yachts and they realize that it is better to discount them heavily and get them sold as soon after they phase-out of their money-earning charter programs as possible. This is why you see the term "available ____" (sometime on the future). The French tax-shelter program, for example, requires the yacht to stay in charter until the 66 month anniversary of its commissioning. They will not pay for the boat to be delivered to a high-demand area because it may trigger import taxes and if they take the lowest price in the world for that model they just get a larger tax-deduction so these can be some of the best deals out there. One possible drawback for Americans is that these European-spec yachts are wired for 220V/50-cycle electrical systems. But this is not a problem if the yacht will be primarily used in the Caribbean or South Florida and other parts of the world where most marinas' have dual 110V/220V electrical systems. Remember, there are really only 4 serious yacht lenders in the US who will write loans on vessels located outside the U.S. and U.S. Territories (where the best deals usually are). You will waste many hours (jumping through hoops with dozens of "information demands") with these other lenders who are not really serious...these non-serious lenders really just want to find out what assets you have and when they find the "one in a hundred golden borrower" they WILL write a loan but it is not only secured by the yacht but they sometimes attach your other assets. FORGET THESE TIME-WASTERS! You only want to deal with the serious marine lenders. I will connect you with the best loan broker I know of. Q. What is the typical spread between "asking price" and "selling price" for catamarans? Is it like real estate where you might expect the Seller to take 15%-25% off of his "asking price"? A. No. The spread between "asking price" and "selling price" in the catamaran market is not like real estate, especially for "hot listings" (Owner Versions) OR if we are discussing a boat that is the lowest priced in the world for that model/age. Some Buyers think that the spread is 15-25% like in real estate and it is not. This is unrealistic because yachts are different than real estate in that they can be moved from an area of "low demand" (any hard to get to island) to an area of "high demand" (like Florida). The spread is different for each make/model/location and I can usually advise roughly where we can end up on the "last price". If we are discussing a (low demand) older monohull or a custom-build that has been on the market for a year this is different and we can and do see spreads of 20%-25%. Q. Wow, I see this older, larger (44') Nautitech with 5 cabins that is in my $250k price range. It looks perfect for mat plans to do some charters and cruise around. What do you think of these Nautitechs? I'm telling you all this so there are no unpleasant surprises in your future. The solution is to go smaller/newer/less expensive catamaran. Q. In your experience, what percentage of deals-pending on catamarans fall apart on the "financing" condition? If the boat is rejected after survey then should we avoid it too? A. In my experience around 15-20% of the deals fall apart on the financing condition. If it is rejected after survey we have to discover the real reason. I had one deal recently whereby the wife decided she wanted a larger boat after doing all the inspections. Other times Buyers are being unrealistic and trying to re-negotiate price down after survey and that's why it falls apart. If there is a major defect found at survey that was previously undisclosed this can cause rejection. We try to discover these before going to the expense of a survey though. Some agents overseas who have an attitude of "caveat emptor" will fail to give us a balanced or truthful Listing Sheet and we need to be extra vigilant when dealing with these types. I can advise which countries that tend to have these types. Many boats that are over the age of ten will have 35-50 defects noted at survey. This is just "par for the course" and buyers are unrealistic sometimes and panic when they see this many issues to deal with. I always pre-advise my clients to stay away from these old "high mileage" boats unless they enjoy working on them continuously. You may think "Well, if I get the boat at a low enough price, I'll deal with the issues." BUT, most of the money you dump into the boat will not be recovered when you resell the boat. You may only see a return of 10- 20% of the value of the work you put into it. Q. I found this 2015 Fountaine Pajot Mahe 36 for only $69,000 on Craigslist. It doesn't appear like the hurricane damage is serious. A. This is a financially-dangerous proposition. I used to buy and fix up hurricane damaged yachts when I operated a boat yard in Palm Beach. But I would not touch this boat now because of what I know about these. Notice the stanchions were all wiped out. This means water got into the deck where they were ripped out because of the heavy rains at that time. He also says: "The damaged cabin top has a temporary, fiberglass watertight repair, which needs TLC to return it to factory condition. She lost her Bimini, davit and helm seat; all of her damaged deck gear has been removed, much of which is stored in her forward sail lockers." This means that water did get into the deck and/or hull before it was temporarily repaired and cleaned up to look good on the outside. Sometimes it is in areas covered by an interior liner so you dont smell mold now but the water infects the electrical system and the mold and mildew starts to grow. This become toxic and is impossible, as fas as I know, to remove because you cannot reach it. Most builders construct the boats so that you cannot remove the interior liners without ripping the boat up and this is expensive to rebuild. Probably as expensive a building a boat from "scratch". You may be thinking "Well, I can hire an expert marine surveyor to check it", BUT surveyors want nothing to do with these and refuse to survey them because they know they are disasters and there WILL be surprises because of what you can't see and whoever buys this will eventually be very unhappy, feel deceived when they dig deeper into the problem and may sue everyone in sight. Whenever you see yachts advertised on Craigslist, 99% of the time, there is a major problem with the yacht or the title (or it's an old pile of junk) and these sellers know that a licensed and bonded broker has a fiduciary responsibility to disclose all defects and this ruins their plan to find an inexperienced or gullible buyer who won't do the proper due diligence because that type of buyer is looking for the "Deal of the Year". It is better to find an undamaged boat at a good price using seasonal price variations, locational discounts and "flooding the market factors" I talk about in my INSIDER SECRETS TO BUYING CATAMARANS report. Q. Florida Sales and Use Tax on yachts seems to be overly complex. Can you simplify an explanation and advise how to be legally-exempt? 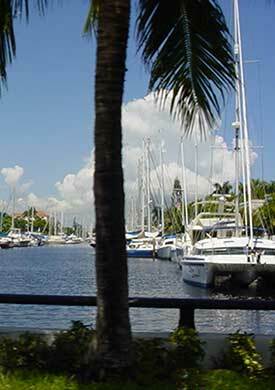 Florida Sales Tax has to do with yachts purchased in state by Florida Residents. Use Tax has to do with yachts purchased outside Florida and brought to Florida for more than 90 days. The Florida Sales and Use Tax tax is 6-7.5% of the purchase price depending on what County the yacht is in. Florida has now capped its Sales and Use Tax on yachts at $18,000. Florida does not have a personal property tax like many other states. If you already paid tax in another US state, Florida will accept that amount as a credit toward their Sales and Use Tax. Florida Residents usually cannot avoid Sales Tax. If your primary residence is in Florida (a vacation home doesn't count), have a Florida drivers license, register as a voter there, are an officer of a Florida Corporation or pay a utility bill in Florida they consider you a Resident. Yachts purchased outside Florida by Non-Florida Residents are allowed to stay in Florida for up to 90 consecutive days or 183 days within 12 consecutive months without paying the tax. TIP: Here is one loophole: yachts purchased outside Florida and then kept in another US taxing jurisdiction (including St Thomas USVI or Delaware or Rhode Island which are all tax free) for 6 continuous months can then be brought to Florida tax-free indefinately! You must be able to prove it was in another US jurisdiction for 6 continuous months and dockage receipts from marinas qualify as evidence of this. Sorry, Bahamas does not count. TIP: Here is another loophole- you can avoid Sales and Use Tax and US Customs Duty (2% of the appraised value and only applies to foreign-built hulls) by flagging the yacht overseas. When you enter the US under a foreign flag you must apply for a Cruising Permit (usually good for one year) and be sure to renew it when required. You should not do any charters in the US on a foreign flag vessel. Foreign flag registration offers owners anonymity and limited liability. Foreign flagging is the least expensive in St Vincent and Gibraltar. 2. Put it into a Registered Repair Facility (approved by the State) to have repairs done and leave the state within 20 days of repair-completions. You must pay Sales Tax on any repair work done. 3. You can apply for a Florida Cruising Permit that is good for 90 days. You can buy another 90 days for $450. To qualify for this you must sign an Affidavit and advise which one of the three options you will take. See me about special rules about taxes in South Carolina and Puerto Rico. Taxes can be tricky and I can connect you with highly experienced tax-advisors. If you are setting up a charter company in Florida and will pay Sales Tax on charters you may be tax exempt when you purchase the yacht. You must then get registered with Department of Revenue and get a Sales Tax Number BEFORE the yacht purchase closes. Q. I'm not sure I want a flybridge from what I've heard. I don't like the separation of the driver and the passengers with flybridges. It is also up in the weather and sun and is unlikely to be used except on passages. I suspect there is also a performance hit. You also loose space for solar panels which increases your need for fuel. The flybridge is an awesome feature. My girlfriend and I virtually "lived" up there and you would find us there for morning coffee, every meal, sunset cocktails and whenever we were underway. There was never this "communication issue" that people talk about...In the hot summer or tropics you catch the best breeze up there so it's much cooler than being in the cockpit. It is safer because when underway you can see further ahead which is really important for night sailing, fog, rain and other limited visibility situations. You can enclose the seating area if it's raining. I never got a drop of water on me and we went all over New England in cold rain and I stayed dry as toast. It also adds 25% more usable square footage and opens up the cockpit area. It's easier to dock because you can see all four corners of the boat from there whereas on an "offset raised helm station" (like on most cats) you can't see the opposite corners which makes docking difficult sometimes. The 450's are an awesome model and is the hottest in-demand model of catamaran in the world because of the flybridge. I have 33,000 miles of sailing and I think this is the best design-advance we have had in many years. I was just in a 31 boat catamaran rendezvous in the Bahamas and we had a race in 15-18 knots and the 450's absolutely outsailed every other cat by a mile so I don't believe this talk about a "performance hit". I made the US Olympic Sailing Team in 1980 and just won a World Sailing Championship so I know a little about performance. Solar panels on the coach roof is not a good place for them because the mainsail and boom partially shade them. Even if 15% of a panel is shaded it will limit production of electricity by a lot. The best place is on a bracket off the aft edge of the roof where it rarely gets shade and it also provides a sun awning when the sun is behind you. Q. The catamaran's listing says 'available April of 2019'. How can I purchase, as in 'receive free and clear title' to a yacht that is not yet for sale? A. This is a French tax shelter program boat and they MUST stay in charter for 66 months after they were commissioned. So, title cannot change until Month 67 which is April 2019. I've done hundreds of these deals and the way it usually works is that when we identify a suitable candidate we travel to inspect it (now, for example). We can do a survey and sea trial anytime during the "due diligence period"..... We then decide after survey whether to accept or reject the vessel. Or we could do a Conditional Acceptance that says something like "We will accept the vessel if Seller remedies the defects #1-15 by April 2019." They sometimes fix everything but normally only pay for the biggest defects that affect "Safety issues" or "Navigation Issues". We then send the surveyor back after repairs are done for a re-inspection and he must be satisfied with the repair. He can tell them to do it over again. If any damage occurs that exceeds 5% of the value of the selling price of the yacht, the Buyer can cancel the deal with no further obligations. If damage is less than 5% then the charter company must fix all those damages to the satisfaction of our surveyor. There is a 10% deposit to hold the deal and the balance is not due until Seller can transfer a clean title. If we are talking about a Leopard phasing out of the charter fleet in year 5 or 6 they come with a "full refit guarantee" which means they will fix ALL defects noted at survey except of minor cosmetic issues relating to "normal wear and tear". These phase-out repairs can cost them $15,000-30,000 so this is a great deal for a Buyer because you know when you sail it away, everything is in good working order. Q. Isn't there some money to be made buying hurricane wrecked Lagoon 450's? What about rebuilding it as an "Owner Version"? Will that add a lot of resale value? A. That wrecked 450 could need hundreds of thousands of dollars in repairs... it is very, very difficult to estimate and control costs nowadays. Surveyors refuse to survey them because it is just too difficult to get it right or they say "This could take a week and I'd have to charge you $800/day". I used to buy and sell hurricane damaged boats but it's just too financially dangerous now. Under some circumstances it may be safer to buy a L450 charter version and convert it to an Owner Version but it must be done very carefully because if t doesn't look 100% factory-finished the value of the yacht will be negatively impacted in a big way. The absolutely safest-best way to make money is to find an Owner Version in a remote island where you can make better deals and to move it too a high demand area to resell it... when we have a "hot" model like a 40-45' Owner Version catamaran in Florida it may have 20 prospective buyers/month looking at it...when the same boat is in a remote place like Belize, Seychelles, Grenada, Tahiti, etc there may be one buyer every 6 months looking at it. This creates supply-demand imbalances that favor the buyer in the remote areas. There are generally no "hot deals" in Florida because we have so many buyers coming here. You have to be willing to buy in the outlying areas to save money. 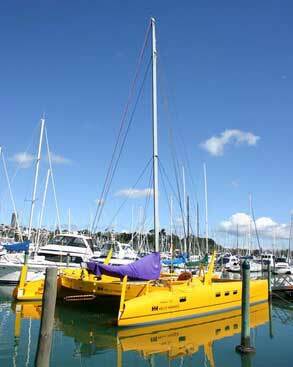 Q. I don't have much sailing experience but want to buy and cruise a catamaran. Can I get insurance? A. When you buy a catamaran the insurance company wants to see some "comparable experience". One way to get some is to get Certified at an accredited sailing school. In North America we have ASA (American Sailing Association) and US Sailing schools coast to coast. I own America's oldest sailing school (Castle Harbor) in Miami and we run ASA classes all year round. But you may find a school closer to your home. You must do the courses in order. The first course is Basic Keelboat Sailing (ASA 101) which is usually a 3-4 day course over two weekends. There is a written and practical test on the last day. Then they have Basic Coastal Cruising (ASA 103) which is a two-day course. Next we have ASA 104 which is also known as Intermediate Coastal Cruising or "Bareboat Chartering" because some charter companies require this level of Certification to charter a yacht from them (especially in Europe). Catamaran Cruising (ASA 114) is a one to two day course. It is possible to do all of these in one week where you live on board a catamaran but you should study the textbooks beforehand because it is a lot to digest. You can also charter catamarans to get some "comparable experience" for the "sailing resume" the insurance company will want to see. If you don't have enough experience they could say "We will insure you but you must have a licensed captain on board whenever you move the boat" which is impractical and expensive ...so it's good to start now with getting some experience. Q. I don't need a catamaran until the Spring of next year. You say I can save money buy buying now. But won't the "carrying costs" offset the savings? A. No, not always. Let's say we found a great deal on your ideal model now. This time of year (summer) you can usually save $15,000-30,000 because it is the "low buying season" compared to the winter months. I can sometimes find a boat already in a charter program that has bookings through, say, March of next year. Because it already has charter bookings, we know approximately what the cash flow will be and this will cover all "carrying costs" like dockage, insurance, maintenance, etc. and you should have some money left over. If you know you need the boat in, say, April of next year, we leave it in charter until then. You can use the boat when it's not out on charter. We survey it now and do a second follow-up survey with the same surveyor at the end of its charter program ...if there is any damage we have a contract-contingency for that. Typically, if there is damage equal to 5% of the purchase price or less, the charter company must fix it to the satisfaction of our surveyor and the deal stands. If damage-value exceeds 5% then you have the right to cancel the deal OR they must fix the damage to the satisfaction of our surveyor. This is a common strategy used by some buyers. Q. Why is it better to buy in the summer and not the Fall, and save money on the costs of insurance, dockage, maintenance, interest, etc.? A. The Caribbean market is larger than all the others and it primarily drives world prices. Their high season generally runs from December 1-May 15. Most of the buyers are Canadians, Northern Europeans and Northern US sailors (we call them "Snowbirds") who want to escape the cold winters. They think they are better off buying at the last minute (Oct-Nov) so they can avoid those "carrying costs" (insurance, dockage, maintenance, etc) and save money. BUT they are wrong because the seasonal price differences greatly outweigh the "carrying cost effect"... I have seen seasonal price tendencies for almost 30 years now and we usually see the least buying competition in the summer months. The lowest prices of the year are usually seen in July and early August. If there are hurricanes churning up the Atlantic this makes under-insured Sellers nervous and some of them panic and drop prices further. Then as more Snowbirds begin calling and asking questions in late August/early Sept, Sellers see this increased interest and get "bulled up" on price. The best deals are usually gone by mid-Sept and prices climb from then until the winter. We often see the highest prices from Nov-Feb. Europe's market is smaller but when their season ends in October we can see good deals and low prices over there. It is usually more expensive to buy in Europe. We often run out of the hottest models (Owner Versions) by November and you cannot find them at any price. This is because generally only 10% of the production models are "Owner Versions" so they are relatively rare and cruisers seek them out because they usually have lower engine hours and more interior space to store your stuff away and "kill the clutter". I hope this helps you understand the market better. Q. Can you help me with a FSBO catamaran? The seller is in Panama, the flag is Dutch and he has offered to deliver it to the US for me. What will all this cost ? A. Yes, I can help with a FSBO and do this all the time. Remember, there are 10,000 stolen yachts in the world today and the way the bad guys liquidate them and get paid is through FSBO sales. So, we must be extra-vigilant when dealing with these types. I have discovered two stolen yachts and turned them in to Interpol and FBI. One reason the bad guys will not list them with a broker is that most brokers have a fiduciary responsibility to Buyers to check out the title and brokers know the ways to research the title and spot bad titles and stolen vessels. I can't tell you all the secrets here because if the bad guys know about this they can take counter-measures, but there are some other things I do to identify stolen yachts. I just need a consulting fee to oversee the sale and we must use my IYBA Purchase Agreement and follow the attached protocol so I can protect you. I attached a copy of the Agreement and of the usual procedure. WHEN A SELLER OFFERS TO DELIVER THE YACHT BEWARE! You may pay them and transfer title and they disappear so they can sell it again under a new name, new Hull I.D. number and different paint job. We need to have a Certified Marine Surveyor (preferably well-experienced in catamaran inspections) to do the survey... another reason some Sellers use FSBO websites is because they know there is a big hidden defect in their boat and they go to "out of the way" places where surveyors are scarce, hoping to find someone who will waive a proper survey and then after they are paid they disappear, never to be seen again. Certified surveyors charge $20-24/foot. So, a 40' boat would cost $800-880 plus haul out fee. Panamanian surveyors may be cheaper. I haven't done one there in a few years. I can advise the "due diligence" and closing costs if you send me full details on the yacht. A.I can talk for 20-40 minutes about this issue and since I'm a slow typist I can't easily convey everything. If you need further clarification let's talk on the phone. This 1997 is a very old design and we have made many advances since this came out so that a current generation 40' Lagoon or Leopard has more usable interior space than this 44' does... So, for around the same price, we can find a newer, albeit smaller LOA catamaran that is less-likely to be an old "Money Pit" like this probably is. This website you found is likely a host of "phantom listings" which really do not exist. It did exist at one time, but was sold and some agents leave their old "good deal" listings up to attract your call and then tell you "It was sold but the closest thing to it is ____" ... so, it may not be available because I don't see this listing on Yachtworld. The only reliable website that somewhat polices listings for this practice is Yachtworld.com and my website LargeCatamaransForSale.com which is powered by Yachtworld. This South African brand is a fairly fast sailing hull because they have relatively narrow hulls but this also creates a fast "sink rate"; that is, as you load equipment, people, luggage, fuel, water, provisions, etc., the boat sits lower in the water and this aggravates the "hull slamming" of the bridgedeck. All cats experience this but some are worse than others. I know an experienced catamaran sailor who bought one of these (without my advice), tried to take it to the Bahamas on a rough day in the Gulf Stream and the hull-slamming was so bad that he (and mostly his wife) got scared to death because they thought the boat would break up. They turned around after a couple hours of this, came back to Ft Lauderdale and immediately put the boat up for sale. - the exposed windows in the salon creates a "hothouse effect" in the tropics and semi-tropics during the hottest times of the day which is very hard to control. This means that the interior heats up to 10-15 degrees hotter than the outside temperature.This is precisely why the major manufacturers dumped this impractical old design-concept in the early 2000's and went to vertical windows with an "eyebrow" (Lagoon) OR louvered/shaded windows (Leopard). This age of a boat is also highly-likely to cause this to be a "Money Pit" I don't recommend something of this age unless you are prepared to be working on it all the time. Q. I found some Privileges for sale in my budget and I'd like to see some of these or similar models when I come to west Florida. What do you think of these? ​A. Privileges have always been known as one of the best-built production cats out there; however, they are slow sailing boats, they don't have a lot of opening hatches so are "under-ventilated", the salons are tiny and the salon windows create a "hothouse effect" in the tropics and semi-tropics so they are not good for "live-aboard" purposes. This means it is like an oven in there even when it's 75 degrees out and even air conditioning cannot keep it cool. Most charter companies in the Caribbean stopped using them because of these reasons....Most everyone in the tropics put covers over the Privilege salon windows which defeats the purpose of having large panoramic views from the salon. These are great boats for northern Europe and high latitude climates but not the tropics. Most of the cats "live" on Florida's East Coast but I may find some suitable candidates near Tampa. We usually never find "great deals" in Florida. The deals are normally in the Caribbean and I can have them delivered back to the US or wherever for $2-3/mile. But we usually have a pretty good selection here to see what model(s) appeal to you the most. I usually recommend setting a budget and trying to get the newest boat that fits the budget even if you have to go to a smaller LOA. ​A. EXCELLENT ! YOUR INSURANCE COMPANY WILL WANT TO SEE SOME CERTIFICATION AND "COMPARABLE EXPERIENCE"
​A. I CAN SHOW YOU HOW TO GET EXEMPTION. ​A. THIS IS BEST DISCUSSED BY PHONE. I HAVE DISCOVERED THE KEY TO "MAKING MONEY WHEN YOU BUY A BOAT" OR AT LEAST NOT LOSING MUCH, WHEN YOU GO TO RESELL IT. THE SHORT ANSWER IS: FIND A VERY POPULAR MODEL, BUY IT IN THE "LOW BUYING SEASON" IN A "LOW DEMAND LOCATION" (LIKE A REMOTE ISLAND AND I'LL MOVE IT FOR YOU) OR FIND A "FRENCH TAX SHELTER BOAT" WHICH CAN BE GREAT DEALS ....KEEP THE ENGINE HOURS AS LOW AS POSSIBLE, KEEP THE BOAT WELL-MAINTAINED, SELL IT IN A "HIGH DEMAND AREA" AND DURING THE TIME OF YEAR WHERE WE SEE MAXIMUM BUYERS. Q. Can we get a better deal if we pay "cash"? Q. Great talking to you today. Huge help as always. I am thinking the Lagoon 410 is the type of boat you are encouraging me to buy because of my limited budget and desire to have a longer waterline cat so I can carry more stuff and not pitch as much while sailing upwind in a chop? ​A. Thanks for this. The 410 in CT could be a "rare possible-gem". But we do not know the actual condition because the local agent probably "fluffed up" the listing sheet and didn't want to know about the defects when he took the listing so then he doesn't have to disclose them. This is just the way it usually works. If I am the listing agent, I want to always want to know and disclose the defects up-front so there are minimal "surprises". But many listing agents do not. I owned one of these 410's and they were extraordinary breakthroughs in their day. One of them averaged 21 knots between Ft Lauderdale sea buoy and Palm Beach sea buoy on their GPS (2 knots was Gulf Stream "push" so they were actually averaging 19K through the water. This was on a broad reach in winds of 25-30 knots and they had a Code Zero downwind sail up). This will have 35-50 defects noted at survey like all cats of this vintage so be prepared for that. Some Sellers will make additional price-concessions after survey to cover major "previously undisclosed defects' repairs" and some of them have the attitude that "this is a used-boat at a much-lower used-boat price and this is 'normal wear and tear' so I'm not reducing price to cover any defects. If you want a perfect boat then go buy a new one with a warranty" The solution to this issue issue is not always something we can predict so when you pursue these older boats this is a risk that you will assume. Many sellers are coy about this and will NOT give us a truthful indication before survey about whether they will give further price reductions for defective "surprises" we find at survey. A "mini-survey" is our best tool to get to the truth before we spend money and time to see the boat.